Jason is a serial entrepreneur who has created and grown numerous companies including GiftCards.com, Direct Response Technologies and MyCoupons.com. Despite running multiple companies, his number one job is being the father to his son, Morris. In 1995, Wolfe founded the first online coupon site, known initially as CouponsDirect.com. After growing the company, he sold it to a competitor for roughly $23 million in 2000, then reacquired it in 2002. Jason then began to build an affiliate tracking technology and platform called Direct Response Technologies. Wolfe sold the company to Digital River in 2006 for $22 million. In 2008, Jason launched GiftCards.com. That company was acquired by Blackhawk Network Holdings in 2016 for $120 million. His current focus is GiftCardGranny.com, a discount gift card website. Jason Wolfe was named Chairman of the Pittsburgh Technology Council during the Tech 50 Awards on October 25, 2018. Learn more at www.jasonwolfe.com. “Jason's journey from growing up in an orphanage to founding several successful companies is truly inspirational. He is the epitome of an entrepreneur and absolutely deserving of the Entrepreneur of the Year award." With the help of a Catholic school nun, 10-year-old Jason was led to the Milton Hershey School, an orphanage located on 486-acre farm in Hershey, Pennsylvania. The school was founded in 1909 by Milton Hershey, creator of the Hershey Chocolate Company, and houses poor and disadvantaged boys from around the country. In 1992, Jason graduated from Bloomsburg University with his Bachelor of Science in Business. He was a member of the football team and pledged the Phi Sigma Xi fraternity. Jason’s son, Morris James Wolfe, was born on December 8, 2004 in Pittsburgh, PA. He is named after Jason’s grandfather, Morris Donal Galitello, and his mother’s father, James Donatelli. 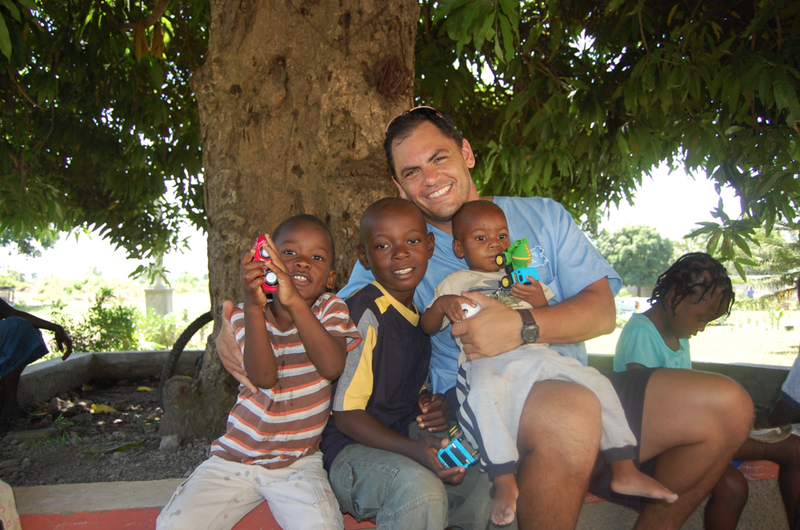 Jason is a member of Orchard Hill Church and supports the Light of Light Homeless Ministries and Southwinds, Inc. Jason has also attended three mission trips to Haiti. In 2013, Jason and his team at GiftCards.com created a program called You Gift, We Gift®, which delivered gift cards to needy children during the holiday season. Jason has been on many adventures including trips to Tokyo, Amsterdam, China, Australia, New Zealand and South Africa. He has also visited Italy, London, Argentina, Mexico, Peru, Costa Rica, Thailand, Haiti, several Caribbean Islands and nearly every U.S. state.